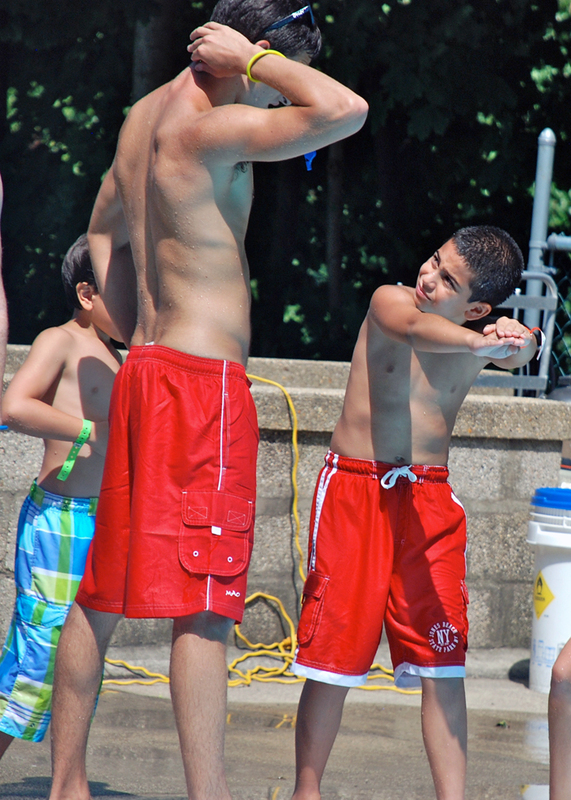 At NSDC we take water safety very seriously. 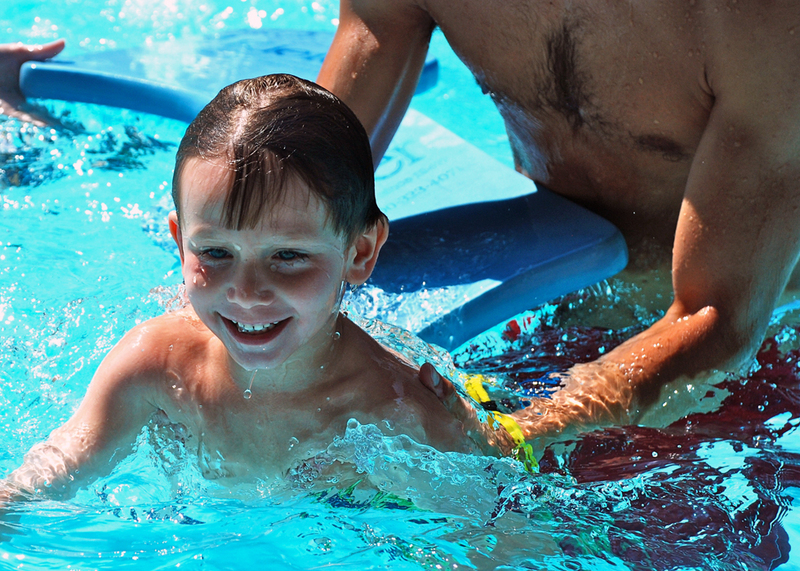 But we also have a ton of fun splashing around in the water too! 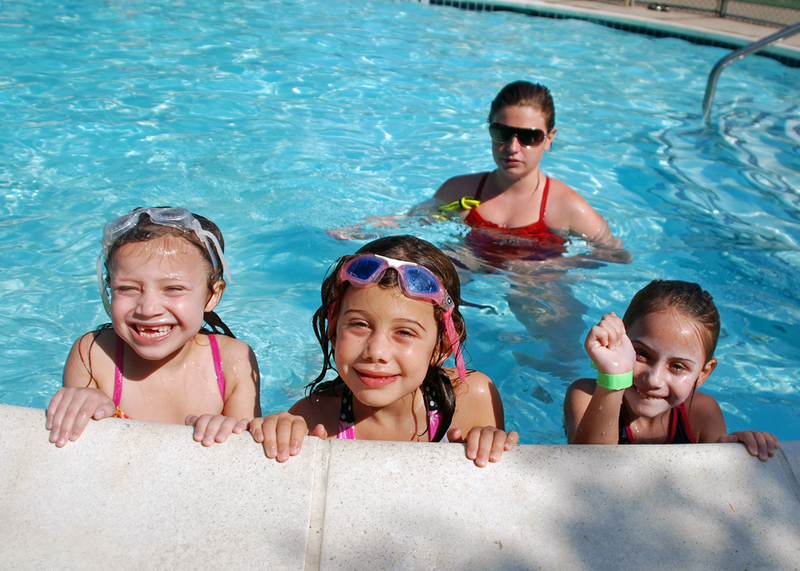 Our 4 pools, which include a “piano” shaped pool, a large pool (with water slides) and a heart shaped pool, are all heated and enjoyed by our campers during instructional and free swim periods. 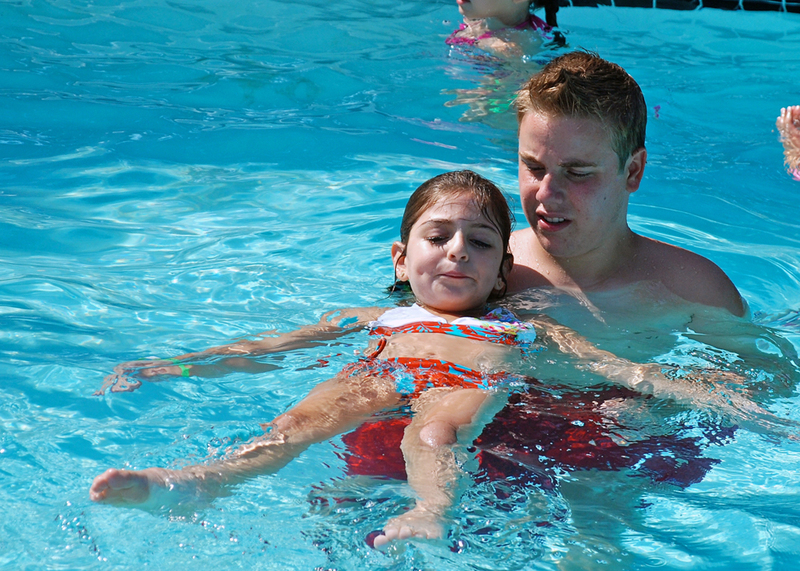 During instructional swim, small groups of campers are matched up with swim instructors to learn the American Red Cross “Learn-to-Swim” program, which teaches our campers how to swim skillfully and safely. 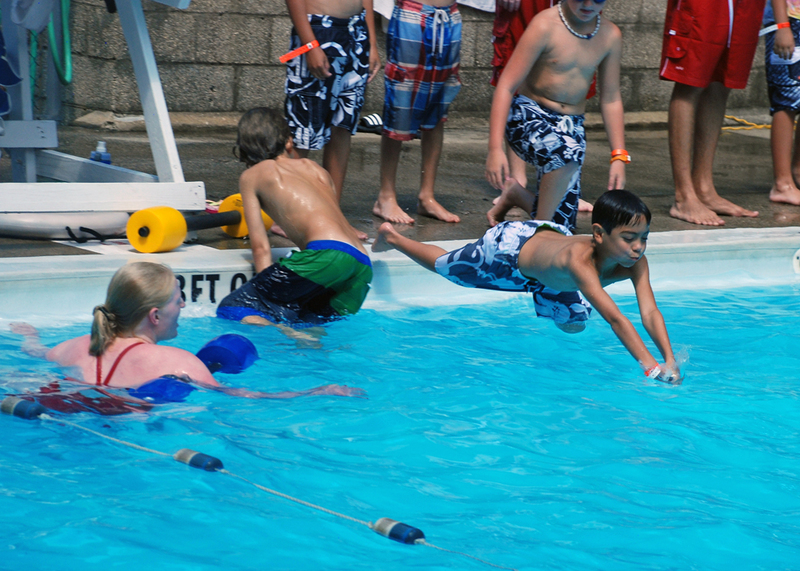 It’s designed to give our campers a positive learning experience by teaching aquatic and safety skills in a logical progression. 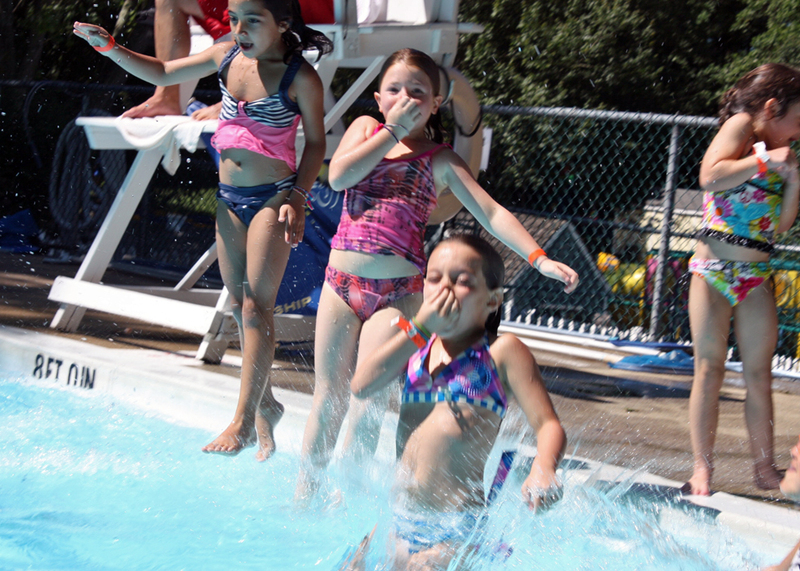 When campers aren’t taking part in instructional swim, they also get to cool off & enjoy our pools during Free Swim – a great time for campers to have fun with their friends while practicing some of the skills they’re learning… and boy-oh-boy do they LOVE the water slides! 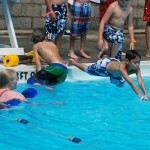 It’s not all fun and games – our campers also have the opportunity to be charitable while having fun in the water! 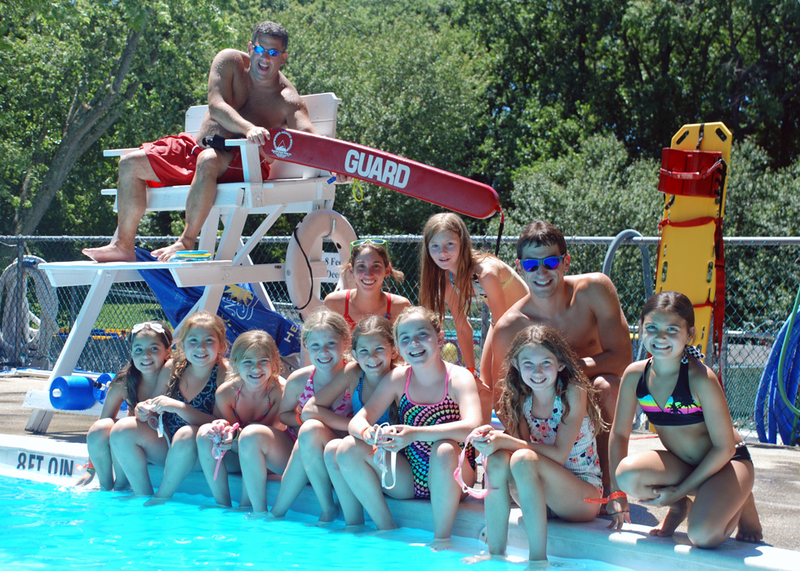 They are currently preparing for next week’s “Morry’s Swim-a-thon” where our campers participate by either swimming or walking laps in our pools to raise money for less fortunate children to attend Morry’s Camp. 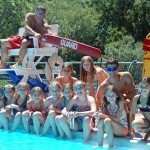 We keep track of what our campers accomplish and send home a record of the number of laps our campers completed. 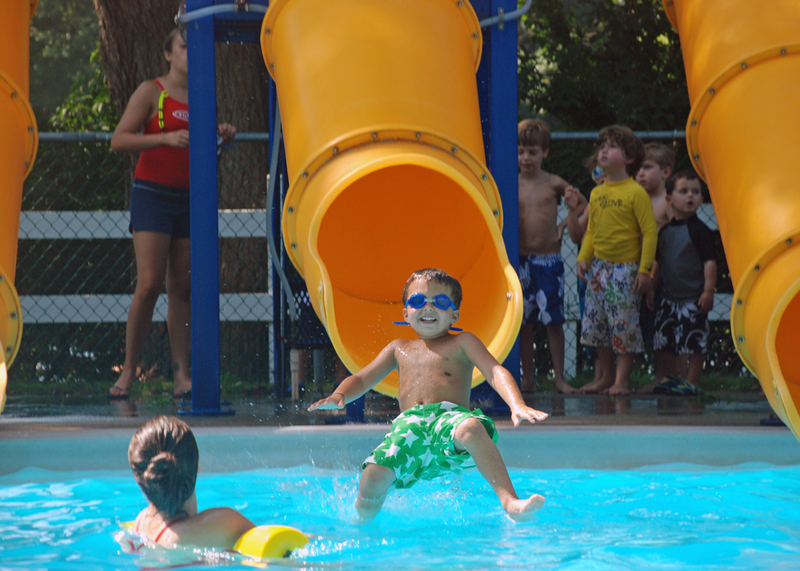 Our North Shore Day Camp families have been incredibly generous summer after summer, and pledge various amounts per lap walked or swam. 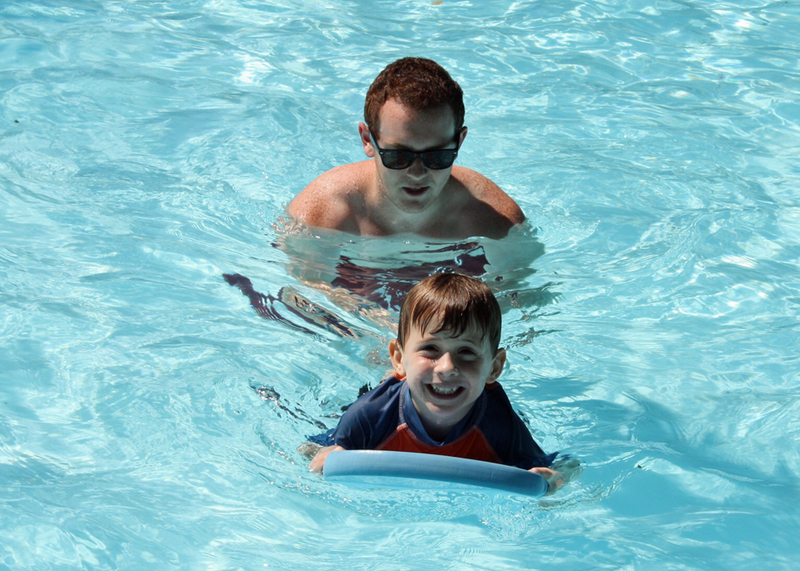 Our objective during swim time is to teach our campers how to swim AND to be safe in, on, and around the water at all times – both during lessons and during play! See for yourself how much fun we have and why our campers also want to help give this same experience to other children just like them! 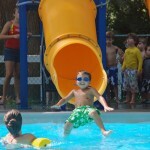 Helps students feel comfortable in the water and to enjoy the water safely. Requirements: Designed for novices with little or no swimming experience. Gives students success with fundamental skills. 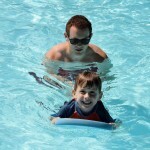 Requirements: Swimmer can enter the water unassisted, move 5 yards, bob 5 times to chin level and safely exit the water. Float on front with face in water and with support for 3 seconds, roll to back with assistance and float on back with support for 3 seconds. Builds on the skills in level 2 by providing additional guided practice. Requirements: Swimmer can step from side into chest-deep water, move into a front float for 5 seconds, roll over to a back float, return to standing position, them move back to a back float for 5 seconds and return to a standing position. Push off and swim using a combination of arm and leg actions for 15 feet on the back. 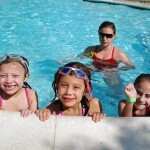 Develops confidence in the strokes previously learned and to improve other aquatics skills. Requirements: Swimmer can jump into chest deep water from the side, swim front crawl 15 yards with face in water with rhythmic breathing, maintain position by treading or floating for 30 second and swim back crawl for 15 yards. Provides further coordination and refinement of strokes. Requirements: Swimmer can perform a feet-first entry into chest-deep water, swim front crawl for 25 yards, maintain position on the back 1 minute in deep water (floating or sculling) and swim elementary backstroke for 15 yards. Swim breaststroke for 15 yards, tread water for 1 minute and swim back crawl for 25 yards. Refines the strokes so students are able to swim them with ease, efficiency, power and smoothness over greater distances. Requirements: Swimmer can perform a shallow dive into deep water, swim front crawl for 50 yards, maintain position on back for 2 minutes in deep water (float or scull) and elementary backstroke for 25 yards. Swim breaststroke for 25 yards, tread water for 2 minutes and swim back crawl for 50 yards.